SeaWorld's Orlando Florida theme park provides up-close animal encounters and incredible thrilling rides where the aquatic world comes alive. 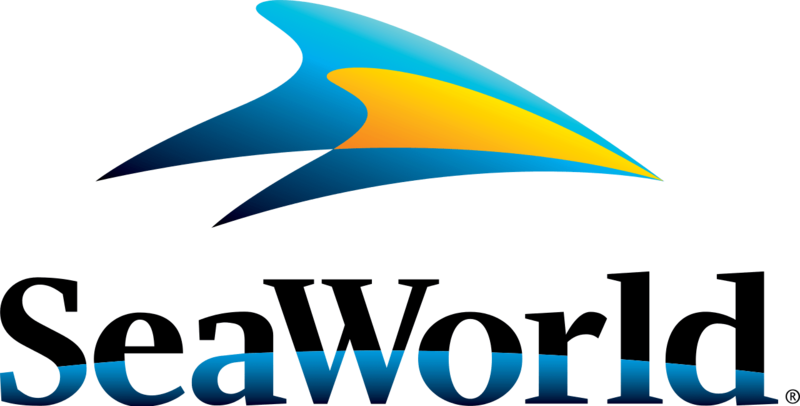 SeaWorld is unmatched for its entertainment value and interactive educational experiences. 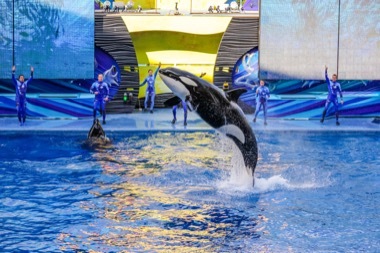 SeaWorld's signature killer whale show. Learn more about killer whales, also called Orcas, and other species of whales during a special educational show. This interactive, 30-minute presentation teaches guests about the animals’ adaptations, habitats and behavior. On select dates, set sail on a taste adventure with all new food selections and rocking concerts at the Seven Seas Food Festival. Join us this weekend for exciting concerts, including The Fray and Sugar Ray. Join us for a side-splitting show with surprise twists and a cast of unlikely characters that will have the whole family laughing from beginning to end. Find out why so many guests call this the best Bar-B-Que in Orlando. Now serving a continental breakfast. A 9-minute walk from SeaWorld Orlando, this upscale property with a 10-story atrium is 6 miles from The Wizarding World of Harry Potter and Universal Studios Florida. Located on a 33-acre tropical-style resort, this all-suite hotel is a 10-minute walk from SeaWorld Orlando. Wi-Fi is covered by a resort fee. Set on 28 acres of lush grounds adjacent to SeaWorld Orlando, this upscale hotel is 3 minutes' drive from Interstate 4. Visitors will want to be sure they don’t miss these top tourism attractions in SeaWorld Orlando. Nearby attractions offer visitors a great day trip from SeaWorld Orlando. Work off that amazing food, enjoy the great outdoors, or just try something new. These favorite activities let you get out and enjoy the country the way the locals do. Try one (or all) of these great SeaWorld Orlando restaurants for a tasty dining experience. Dining at Shamu Stadium – It's Orlando's most immersive and memorable family dining experience: Up-Close Dining at Shamu® Stadium. Shark's Underwater Grill – Enjoy a fascinating view in an upscale, signature full-service restaurant that puts world-class entrees on your plate and a window into the world of sharks before your eyes. Voyager's Smokehouse – Find out why so many guests call this the best Bar-B-Que in Orlando. Now serving a continental breakfast. Expedition Café – This Antarctican restaurant has a variety of cuisine sure to please even the pickiest eaters. Flamecraft Bar – Located near Seafire Grill, the all-new Flamecraft bar offers a scenic patio view over the water and a multitude of premium beverages to enjoy. Spice Mill – Enjoy All-American fare prepared with Spice Mill’s signature seasoning. From casual comfort to luxury accommodations, SeaWorld Orlando has plenty of great hotel choices for you to relax and unwind. Renaissance at SeaWorld – A 9-minute walk from SeaWorld Orlando, this upscale property with a 10-story atrium is 6 miles from The Wizarding World of Harry Potter and Universal Studios Florida. Hilton Grand Vacations – Located on a 33-acre tropical-style resort, this all-suite hotel is a 10-minute walk from SeaWorld Orlando. Wi-Fi is covered by a resort fee. DoubleTree Orlando – Set on 28 acres of lush grounds adjacent to SeaWorld Orlando, this upscale hotel is 3 minutes' drive from Interstate 4. SeaWorld Orlando is where the aquatic world is brought within your reach and comes alive. From roller coasters to entertaining shows to guided tours, this amazing park offers everything for thrill seekers and animal lovers alike.